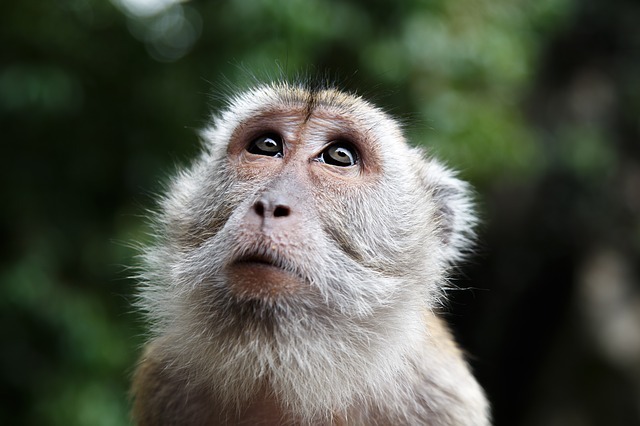 Holidays to Malaysia - as with any holiday - will require some careful research, and a comprehensive travel insurance policy to ensure you get the most out of your trip. To help with this, here are a few handy things to know about the country and how our travel insurance policies can help make your holiday in Malaysia, the awesome experience it should be. The Foreign and Common Wealth Office have advised against all but essential travel to all islands off the coast of eastern Sabah from Kudat to Tawau including Lankayan, Mabul, Pom Pom, Kaplai, Litigan, Sipadan and Mataking. Take great care in the town of Sandakan and along the coastal area south of Tawau. Take care around the areas east of Lahad Datu and around Semporna, the site of the March 2013 confrontation between insurgents and Malaysian security forces. Follow this link for more up to date Travel Advice. Malaysia faces two monsoon seasons, the southwest season running from late May to September and the north-east season from October to March. During these months, there's an increased risk of flooding - though this is mostly true of areas along the east and west coast. 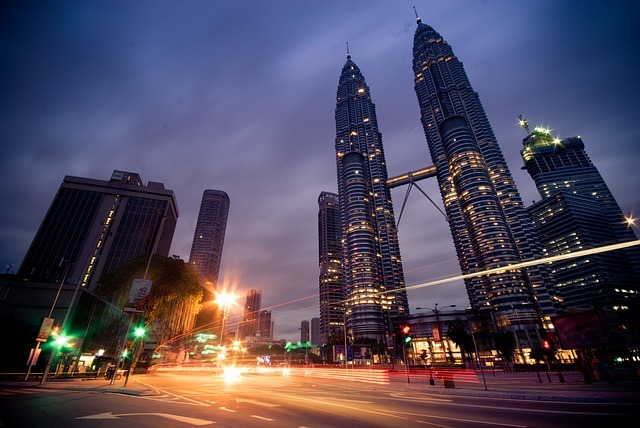 Popular destinations like Malaysia's capital, Kuala Lumpur - being roughly 56km from the east coast - remain largely unaffected by flooding, experiencing flash floods only rarely. With the natural catastrophe cover under our Silver, Gold and Platinum insurance policies, you're covered for up to £2,000. This means that should you be affected by natural disasters during your holiday in Malaysia, any extra travel and accommodation expenses incurred will be paid for. If a trip to Malaysia is not the only trip you'll be making this year, it may be worth taking out our annual multi-trip travel insurance policy, which gives you premium level cover for multiple holidays in the year. It's a good idea to book travel insurance well in advance as. Should you need to cancel the trip due to a natural disaster, the cancellation cover of your travel insurance policy will have you sorted, offering financial protection of up to £10,000. It's probably best to avoid travelling to Malaysia during the dry season, running from June to October. During this time of year, air pollution levels tend to spike, as smog from Indonesian peat fires accumulates in the atmosphere above the country. This phenomenon is known as the South-East Asian Haze. According to recent readings taken in Kuala Lumpur on 27th September 2015, air-pollution levels reached past the 200-point mark, with over 20 flights being cancelled due to reduced visibility. Under our platinum travel insurance policies, you are covered up to £800 for departure delay, £1,000 for missed departure, and should you require emergency medical attention, you are covered up to £10 million. If you're travelling in Malaysia during this time of year, it's best to avoid places with high Air Pollution Index readings, such as areas within the states of Sarawak, Selangor and Kedah. Keep and eye on the Air Pollutant Index Management System (APIMS) and pay attention to updates and health advisories issued by the Malaysian Department of Environment. If you find yourself in an area with dangerously high air pollution levels, it's best to restrict outdoor activities and wear a respirator if you do go out. While the overall crime rate in Malaysia is designated as high, it's important to note that this mainly applies to petty theft, with violent crime remaining relatively uncommon. Take sensible precautions to reduce your chances of being affected by crime, and ensure that your trip isn't spoilt by any unpleasant experiences. Where you can, try to avoid carrying items of high value on your person and take particular care with your passport when walking in public areas. Get a money belt for storing any excess cash you'd be sorry to part with. Generally, it's not a good idea to open your door to strangers, especially late at night. When walking with your bag, carry it tucked under your arm on the side facing the pavement. Bag snatching is quite common, thieves often making the steal from a motorbike. On a night out, be careful if you're offered a drink by a stranger, even in reputable bars and restaurants. Incidents of robbery and assault have often involved a spiked drink. If you are affected by crime, during your holiday, be sure to inform the local police and obtain a report as soon as possible. If it happens that your valuables are stolen during your trip, you shouldn't let this spoil your holiday. With our Platinum level travel insurance policies, you can have peace of mind knowing that you are covered up to £500 for personal money and £2,000 for baggage. For British nationals, it's good news - authorities in Malaysia allow a stay of up to three months without a visa. If you want to stay for a longer period, or your trip is not of a tourist nature, then you'll have to obtain a visa for longer stay, before you go. Get this from your nearest Malaysian diplomatic mission. If you plan to during your holiday in Malaysia, you will need travel insurance that covers for working abroad. Check out our page on working holiday insurance for more information. With Malaysian authorities currently cracking down on illegal immigration, it's important that you don't over stay your visa. Doing so, even by a few days, could see you fined, detained and deported. Travelling between the Peninsular Malaysia and Malaysian Borneo, you are required to carry your passport, so make sure you have yours with you. Before you go, it's essential that you get all the vaccinations that you need at least four to six weeks before your trip. Malaysia is listed as a country with risk of yellow fever transmission, so you will be required to arrange for a vaccination against this before you can go. Should for any reason, your vaccinations fail to protect you and you fall ill during your trip, you are covered for up to £10 million for any emergency medical costs and £800 for delayed departure. Malaysia does not officially recognise dual nationality, so you could be refused entry into the country if you are found to have two passports of differing nationalities. Make sure you only have one passport with you, eliminating the possibility of being refused entry. Your passport needs to be valid for a minimum of six months from the date of entry into Malaysia, so make sure this is sorted well in advance. The prevailing currency in Malaysia is the Ringgit, with current exchange rates of 6.6 ringgit to the British pound*. It's best to hold off purchasing any Malaysian currency until you are in the country. Exchange rates in Malaysia are very competitive and will almost always be better than what you might be able to get back home. Exchanging currency in Malaysia is really quite easy. There are no charges for taking your foreign cash into the country and no fees for exchanging this into ringgit. Foreign exchange booths can be readily found in most urban areas and - unlike with usual foreign exchange - there is no need to produce photo ID. With all the benefits of exchanging currency in Malaysia, be warned: failing to declare any amount in excess of US$10,000 could see you run into some serious trouble. Penalties for failing to declare include a fine of up to 1 million MYR and up to three years imprisonment. If you want to carry ringgit notes or foreign currency notes in excess of the limit, then you will need to get written permission from the exchange control department well in advance. For holidaying in Malaysia, we suggest taking a modest amount of Ringgit into the country, to cover any incidental costs. Once in Malaysia, you can easily make your currency exchanges. Even though you will not be charged for bringing your foreign cash into the country, it may not be the best idea to make your exchanges this way. It's best to avoid carrying large amounts of cash on your person, as the personal money section of most travel insurance policies will not be able to cover you for large amounts of currency. If you can, try to make use of ATMs and prepaid cash cards, as with these, you can withdraw small amounts where the need arises. As always, you should exercise caution when using ATMs, being aware of any hidden charges, or fees from your bank for using your card abroad. Be selective as to which ATM's you choose to use, as it's not uncommon for legitimate ATM's to be bugged in Malaysia. If something seems off - maybe the card receiver looks a little loose - it's best to look for another machine. As Malaysia is an Islamic country, there are a few things you should remember to avoid any confrontations or misunderstandings. During the month of Ramadan, in areas like Kedah, Kelantan and Kuala Terengganu, shops and restaurants remain closed until the late evening. At the start of Ramadan, you can expect people to appear grumpy and frustrated as they adjust to the new routine of fasting. If you aren't treated as courteously as you're used, try to bear this in mind. During the festival, you would of course want to show respect by not eating, chewing gum or smoking in public places during the day. Although by day these areas of Malaysia can be a little dull during Ramadan, don't let this put you off from visiting during this time of year. When night falls, and the locals break their fast, townships transform into a bustling hive of activity. In cities with a lower percentage of Muslims, like Kuala Lumpur and Georgetown, Ramadan is not so readily observed, and it shouldn't be too hard grabbing a tasty mid-day meal. When you're travelling through Malaysia during Ramadan, you'll want to plan any journeys or activities around 'iftar' - the breaking of the fast. At this time of day, when the fast is broken, there can be immense pressure on taxis and public transport services as locals race home to take their first meal of the day. If you plan to visit any temples, mosques or religious sites, then remember to wear long trousers and shirts with sleeves extending at least to the elbow. Women should similarly cover up, with skirts extending at least to the knee. With the prominent Muslim strains in Malaysian culture, you'd be surprised to learn that in most of the large cities, people dress largely how they please. While some women wear the full length traditional muslim garb, others choose not to. So - unless you're visiting a religious site - when packing for your holiday in Malaysia, you should be more concerned with taking clothes that will be comfortable in the heat and humidity. Choose clothes that are loose-fitting, made of light-weight, breathable material. Khota Baru - Often regarded by travellers as the overnight stop over point between Malaysia and Thailand, Khota Baru in itself is worth spending time in. The city is a vibrant melting pot of Chinese, Thai, Indian and Malay cultures, and there are a host of things to see and do. Visit Gelanggang seni for a display of traditional Malay martial arts, shadow puppetry and kite - making. Mount Kinabalu - Standing at 4,095 meters, Mount Kinabalu is the tallest peak in Borneo. If you're in reasonably good health, scaling the main peak is a great way to experience the famous biodiversity of the mountain, which is home to over 326 species of birds and 100 mammalian species. The Petronas Twin Towers - The tallest twin buildings in the world the Petronas Towers of Kuala Lumpur are a popular tourist destination. With 88 floors and a sky bridge connecting the two towers on the 41st and 42nd floor, the tower provides some excellent photo opportunities of Kuala Lumpur. 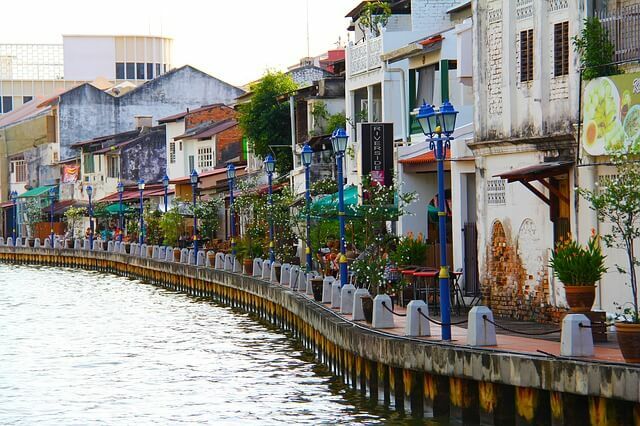 Melaka town center - This southwestern coastal town has a rich heritage of Dutch, Portuguese influence and this is clearly reflected in the city's architecture, culture and cuisine. Gunung Mulu national park - Located in Malaysian Borneo in the Sarawak state, the Gunung Mulu national park contains some of the most awe-inspiring natural land forms in south-east Asia. Visit the famous Limestone karst formations and explore the Sarawak Chamber, the worlds largest subterranean chamber. *Prices based on 1 adult aged 21 with no pre-existing medical conditions, travelling to Malaysia for 7 days. Price correct as of April 2019.